As I sit here typing, it is not without a keen sense of irony. You see, my absolute favorite time of day at Walt Disney World is in the early morning hours. It is ironic because I am a classic night owl. But at Disney, all the rules seem to change, and the magic calls to me at the earliest of hours. I love heading over to the lobby and common areas of the resort right before the sun rises. Only a few other early birds are awake, and the grounds keepers and other Cast Members are busily preparing to make the magic happen. If we are staying at the Polynesian Resort, a quick stop at the Kona Coffee Shop is certainly in order. Otherwise, even this coffee snob is satisfied with the NesCafe which is served all over WDW...well mostly. Even the lack of really good coffee would not be enough to lessen my enthusiasm for mornings at Disney World. On most vacations I long to sleep in. At Disney I figure that I can sleep when I get home. The opening ceremony at Magic Kingdom is particularly wonderful - “Good mornin’, Good mornin’, Isn’t it great to stay up late?” - Everyone sing-a-long! I get chills typing the lyrics. When you enter the parks first, everything is fresh and untouched. The streets are damp, partially from the Florida humidity, and reflect the sunlight. Cast members are all smiling. Lines are short. But mostly, there is a quiet anticipation that something magical is right around the corner, and the best thing is, you never know which corner it will be. And there are benefits to waking up early. While wandering around the opening gates, our family has participated in special surveys, asked to try out Disney Parks software loaded onto Nintendo DSs, and even been given a special Disney Trading Pin or two, all for waking up a bit early. One of the best rewards was being allowed on Main Street before the park opened. We didn’t get onto any rides or anything, but what we did have was something money could never buy. 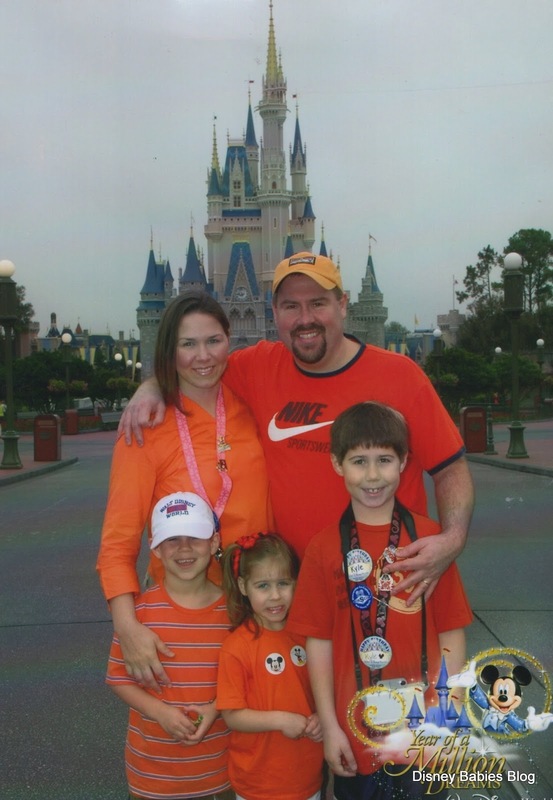 A family photo in front of Cinderella Castle with no other park guests in the shot. Priceless! Sometimes it pays to wake up early. Note from Jenn - Isn't that a cute family? If you want to read more from our Thursday regular, Mel, check out her blog Main Street Moms and read her adventures in parenting and life! Wow, what a great view on the Pros of waking up early at the Walt Disney World Resort! That's a really great photo as well. It almost looks like the park is deserted!